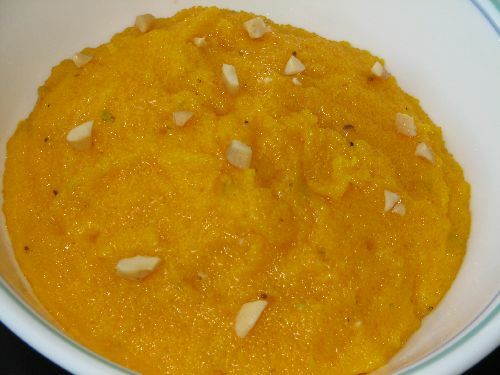 Who doesn’t like carrot halwa. I prefer cooking it in milk, ghee. It tastes heavenly and rich. Peel carrot skin and grate it. Fry cashew until it's golden brown in a tsp of ghee. Fry raisin in the same ghee for less than 30 sec. Raisin tastes bitter if it's over fried or burnt. Pressure cook the grated carrot with milk for 2 or 3 whistles. After the pressure is released from the cooker, open the lid. There will be still some milk left in the cooked carrot, don't drain it. 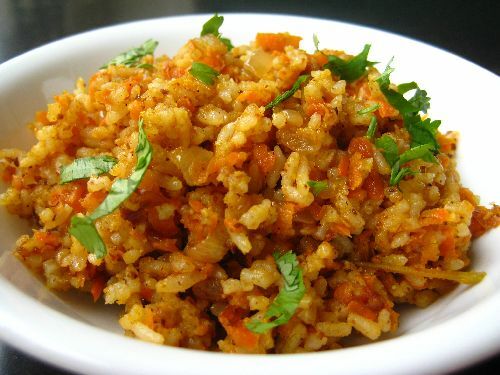 In a pan add ghee, add the cooked carrot & the remaining milk and orange food color. Allow it to cook till all the milk is evaporated and the mixture becomes thick. Add sugar at this stage and mix well till the halwa consistency is achieved. Add cardamom powder, cashew and raisin. Allow it to cook down for 5 min and serve in low heat or keep it in fridge for 30 and serve cold. 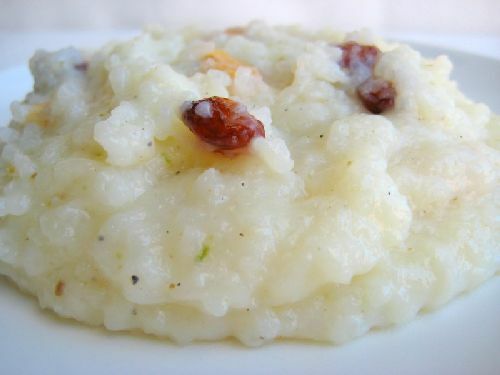 Adding milk while cooking adds richness to Halwa. Skip milk if you don't like. If you want it more sweet add more sugar. If you don't have a grater, grind carrot to coarse paste in a blender. 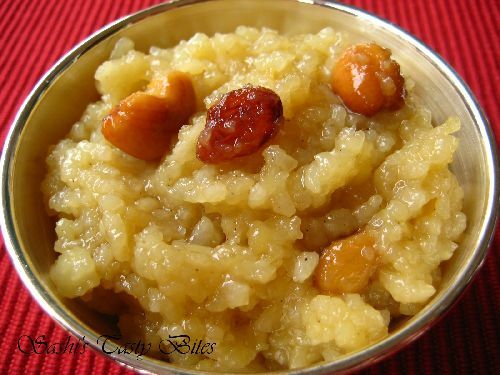 (*) Prepared this dessert for Tamil New Year 2009. Thanks viveka, very happy to hear that. Subha, I used big carrots as baby carrots are bit hard to grate :) if using babycarrot cut them in to small pieces before pressure cooking. 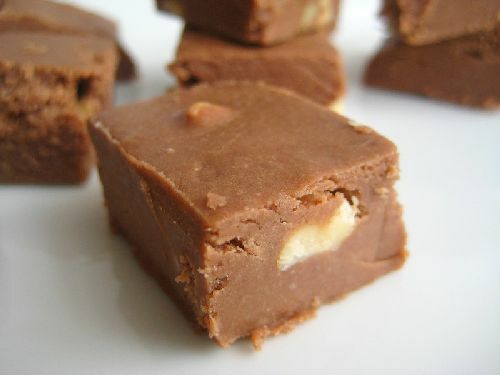 Saradha, I have 1 or 2 recipes in this section – http://www.sashirecipes.com/ingredient/banana-valaipalam. If you have some ripe bananas put them in freezer and use it when needed for baking banana base muffins, breads etc. 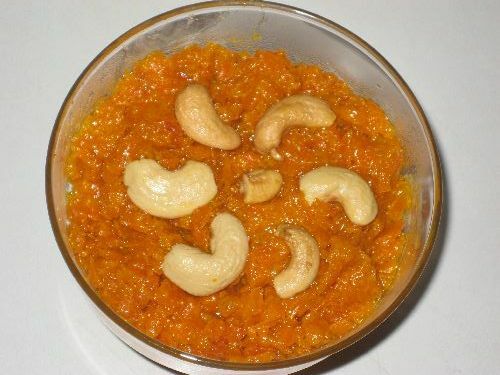 wonderful carrot halwa recipe.Thanks for sharing. 2. Garam Masala Powder for making Non Veg items (or do you suggest Aachi masala powder)can be used. I don’t have the recipe handy since I get them from home. 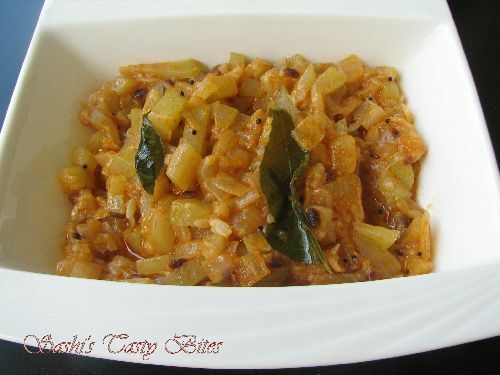 Pls check the section ” Substitution for Home made chicken masala.” in http://www.sashirecipes.com/kongunadu-kozhi-kuzhambu-varuval-chicken-gravy-and-fry.html. I use store brought ready made one, usually Sakthi Masala. But Aachi masala is good too. unga recipe’s ellam super…. so colourful & mouth watering…. Thanks Rekha. Let me know if u r looking for any recipe. Thanks Jagan, Glad you like it, what else could make me happy than these words !! Let me know if u need any recipe, I will try adding it. Hi Sashi, I tried this recipe. It came very nicely. Thanks for posting nice and different recipes.